By Noelle Viger - News Editor · September 10th, 2018 at 8:22 a.m.
With the completion of John Hindle Drive, many of the bus routes to campus are getting an update. Some busses, like the 97 Okanagan, will be getting an increase in frequency. The 97-bus route will now be running every 7 minutes during morning peak hours. The 23 Lake Country bus also gets a boost in frequency and will now run every 15 minutes. There will also be new rapid bus stations near Sexsmith Road in October of this year. The number 6 Glenmore-UBCO Expressbus route will be receiving a complete restructuring. It will become a regular, full service route that will connect all through Glenmore to downtown via the new John Hindle Drive. It will run seven days a week with service every 30 minutes during the am and pm peak travel periods and hourly through the mid-day and evenings. The number seven route will also receive restructuring as it has been split into two different bus routes. It will become the 19 Glenmore-Orchard Parkbus to Orchard Park Mall exchange and the 18 Glenmore-Downtown bus to Queensway Exchange downtown. Additionally, the Rutland Exchange began construction in August, and is expected to be completed in October. The 8 University, 10 North Rutland, busses will route into the exchange, with the 11 South Rutland bus remaining on current routing until January of next year. The number 4 Pandosy-UBCO Express bus will now be servicing the Academy Hill area. There are six new pairs of stops along the new section of the route along Sexmith Road, Hollywood Road, and Academy Way. 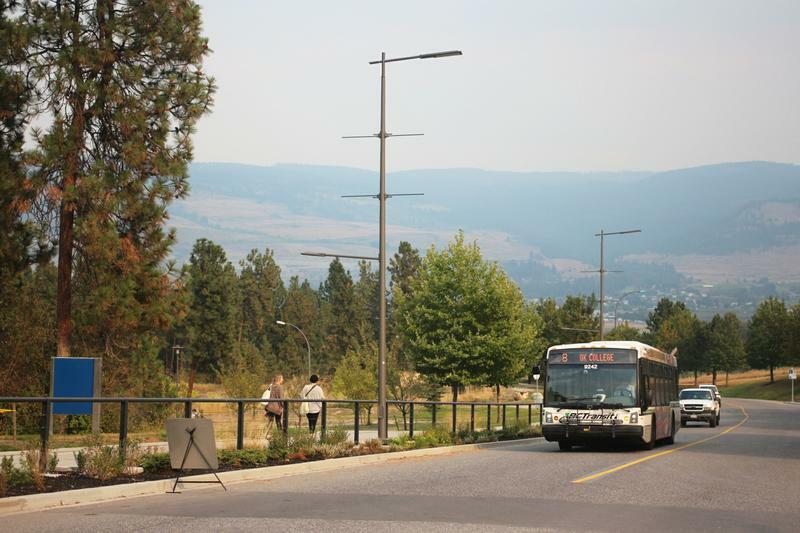 The route operates Monday through Friday during am and pm peaks only, and the City of Kelowna expects to incrementally increase service over time. Finally, BC Transit will be implementing a service called Next Ride. According to the BC Transit website, Next Ride will use Automatic Vehicle Location technology on all of their busses. This website and app will let students to track the current location of their busses for more accurate arrival times as well as allowing students to see how full the bus currently is. This service is a BC Transit service, and will be rolled out in seven communities across British Columbia. Kelowna is expected to have this service in November of 2018. Data from the system will also inform third-party applications such as the popular Transit App.